Build Magento website with futuristic technology and custom framework design. 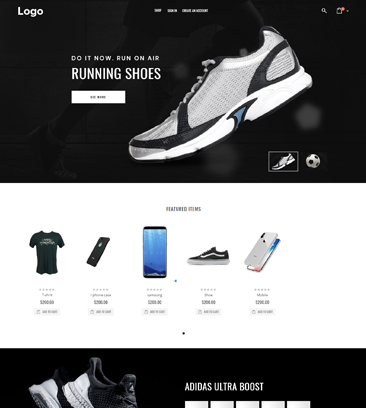 Premium designs for your online store. 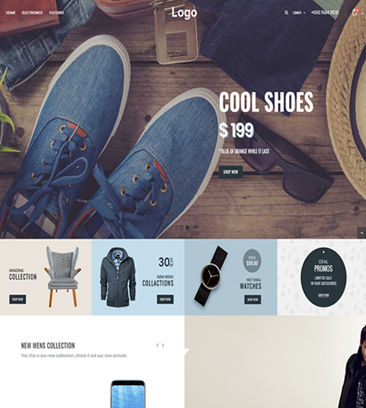 Get all the features needed to develop an Ecommerce Website. Loaded with exclusive features to improve the performance of your Magento store. Magento Dashboard displays Instant stats of advanced sales reports, Detailed Customer Stats, Top Most countries or cities and products rating and sales. Let the owner choose products URL based on Products attributes, Letters, Digits and additional special characters like “/”, “.”, “-”. Custom URL will provide more user Friendly and enhances SEO performances of the store. Let Customer upload Documents, images and select them from available options type, their own text level comments, etc. Highlight product Features by adding Videos to products pages with customizable Carousel sliders and in products videos Listing under description tab. Upload different types of videos like VImeo, YouTube and local server files. Customers might want to have a quick review of product details when they are browsing the products listing page. 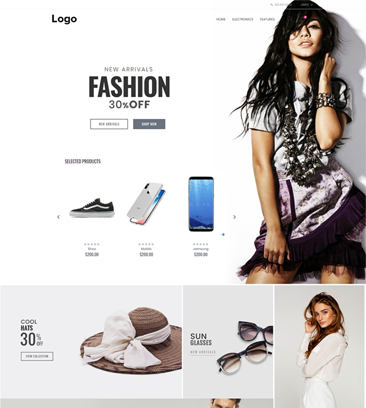 Our Magento development service allows quick view function which will not only reduce the shopping time but also will bring the convenient experience to shoppers. Asking lot of information while creating a new account may discourage customer from doing so on the store. We provide you with the option to login in to user account with a single click. Magento Platform provides fastest checkout process with one page Checkout. Increase customer checkout experience, win more sales to you store. With an eye catching countdown timers, magento Super Deal features is the most time- saving solution to manage multiple deals with the most professional display across any devices. 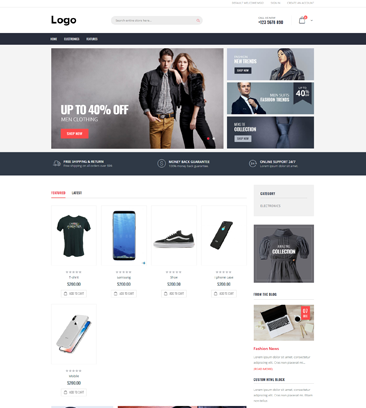 Magento store comes with six different products Types. Have a complete control over the products. Manage simple products, configurable products, Grouped Product, Bundle Products, Downloadable Product and virtual Products. Dashboard, the Default Homepage of Admin Panel Serves as a quick snapshot of the store’s activity and performance. Magento allows checking sales number, view graphs of order activity, see frequently used search terms within the site, find out what your customer are viewing. Building a cross Platform Friendly website is important to make sure that every online resource accessible to any devices, browsers. Our Magento designs are mainly created right from ground based on the best ecommerce stores sales. Have a great control over designs of your store. we deliver designs of any variation as per your requirement. You can take our pre-made designs or design a solution from scratch. List of third-party modules that you can integrate in your store. The store owner can send real-time push notifications messages to its customers. These messages can contain any information like a new product launch, offers, etc. Connect to any FTP and fetch your data automatically. Fetch product pricing, SKU, product name, images, etc. from the remote URL. Integrates UVdesk Helpdesk System with Magento Store. Ticket reply to the consumer can be sent using Magento back-end or else by UVdesk Dashboard. Allows the users to sign up into their site using social networks like Twitter, Facebook, Google, Instagram, and LinkedIn. Swiftly and effortlessly update code snippets and tags on your website that are proposed for traffic analysis as well as marketing optimization. Set deal status for any product and select the duration of the deal. The customers can view the deal value information with the remaining time left. Assist everything that is related to Search Optimization. Improve your snippet by means of price, stock status, and breadcrumbs. Run a great variety of exclusive promotions to easily attract customers' attention and increase sales. Let your customers pre-order upcoming or out of stock items. Helps to efficiently analyze your customers’ needs. Automatically send catchy emails to recover abandoned carts. Track email campaigns with Google Analytics tool. Display related items based on views or purchases. Intelligent algorithms for automatic product relation. Use advanced autocomplete window to instantly find necessary products with an informative quick search. Speed up the whole shopping process and significantly enhance customer satisfaction. 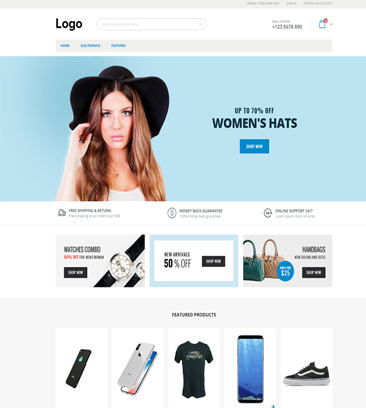 Customize checkout page design. Let shoppers filter products by brands to spend less time on reaching the goods they are looking for. Restrict payment methods by shipping address, customer groups, store view or product attributes. Disable certain methods based on customer data. Insert landing pages to the sitemap to advance their visibility for Search Engines. Generate several landing pages as you require. Reward users for purchases, registration, etc. Encourage users' activity to let them feel that making purchases is beneficial. Use flexible shopping cart rules and create a unique loyalty program to reward regular customers with exclusive discounts. Create web forms of various types to effectively collect customer info. 15 elements for custom form creation. Change product image on mouse hover. Group related colors and show more items in search results. Magento is an open source ecommerce platform that provides merchants with the most flexible and controlled online store possible. If I encountered problems using Magento what do I need to do? If you encounter problems using Magento, the best thing to do is to contact our support Agent. We can support you on the issues by the next 24 working hours. What are the currencies that i can integrate with Magento? You can integrate any currency of your country or make your store compatible for multiple currencies. Is an external extension that is not part of the Magento Core still supported by Magento? No. However, Webnexs can assist with your external extensions to Magento..
What license does Magento use? Magento is licensed under Open Software License 3.0, which is an open source certified license. Where can I host Magento? Magento can be hosted by any server provider. However, there are a number of requirements that are required with Magento’s system. The best way to get support for your Magento site would be through a Magento expert. Webnexs has provided numerous companies with full Magento site builds. Is my Store RTL supported? Yes Magento store will support RTL. However you can contact our support engineer before you could get this RTL feature available for your store. Is there any additional Monthly , yearly support costing Involved? We donot charge anything much beyond the costing mentioned for packages. However, if you would require to design any functionalities that are additional, we would do it with a separate Scope of work document executed. will i be get to hire a dedicated Magento Developer for magento development? Absolutely yes. You can hire our Dedicated programme managers subject to their availability. Can i delete an order placed by customer? How many orders can magento Process? Magento has proven to have processed 1000 Checkouts or orders/ hour. You can have 10000 live accounts per hour created on the store. But you should be having a versatile server to perform such operation. Do you customise designs for magento? Yes we do the customisation of design in the third plan - Pro. However if you require designs on a limited basis , for 50 hours, you can buy our plus plan. Can’t find a solution? We are currently at the live chat to explain them instantly or leave a note; we get to you within next 12 hours. 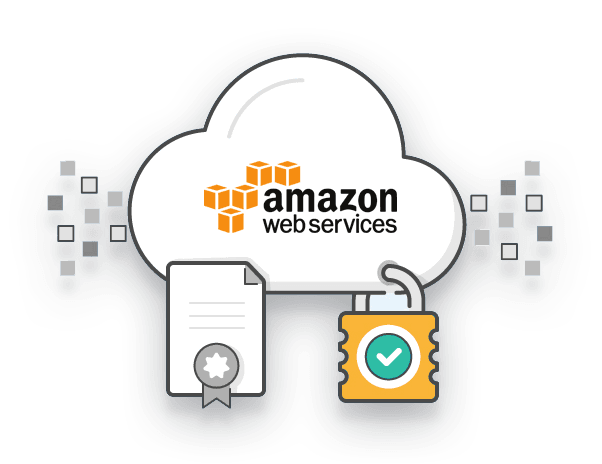 Either in Amazon web services or Webnexs Virtual Servers. Host your Ecommerce site in constantly dominating Amazon Web Service complimentary for 1 full year. Host through webnexs VPS for as less as USD 112 / Year. Here some of the videos related to Magento Platform form that can help in better understanding about the platform. Providing you the list of customers we have served. You can be next to work with us. Lets join on your idea. Contact! Keep abreast of latest technologies with innovations for your Magento store. Expand your Magento Store globally. Get local with your business by integrated Multilingual & Multi-currency options. 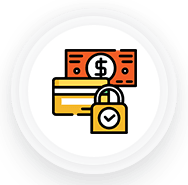 Collect Payment flawlessly across Gateways. Ecommerce Payment Gateway Integrations are effortless nowadays. 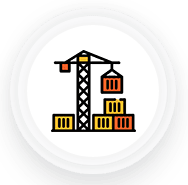 Get shippers of your choice integrated to provide your customers with seamless shopping experiences. 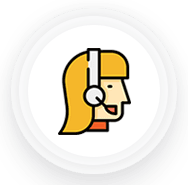 Emails, SMS, Customer Reviews, Pop-ups made easier. Integrating with marketing options always increases the revenue & operational efficiency of your store.Tempt up your target audience with automated email marketing & increase your sales. Magentofy Your Ecommerce and Deliver Unique Customer Experiences. 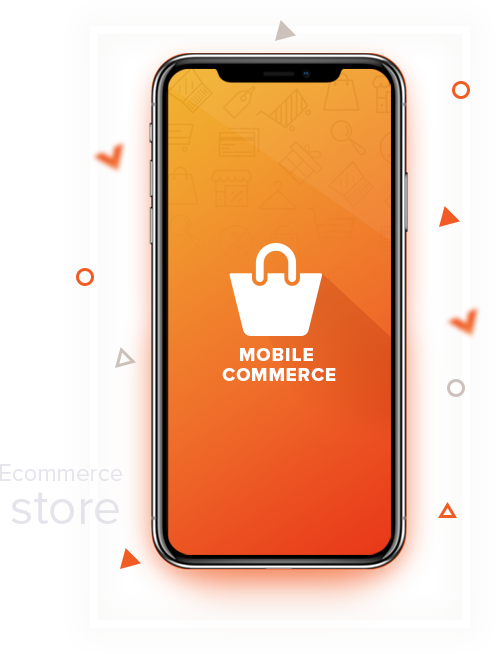 Unleash the supremacy of innovative technology and deliberate marketing intelligence to make your mark on the Ecommerce business landscape. Get your queries assisted within 8 hours of sending an email for your project. We have 48 hours window, a maximum buffer for Escalations.We make sure to get you posted before the due time. Get crystal clear documentation in the products you receive. Learn about what’s going on in your store. Be updated with our developers on how fast you can modify simple things by yourself without the help of any developer. Do not pass up a question unanswered. They are all documented under the ticket. You raise tickets for support and our authority will answer them for you. Check out our team with our sales expert on live chat. Magento is the best ecommerce platform to run an online store. Webnexs support team supports you throughout the setup process & offers you training regarding your store if needed. 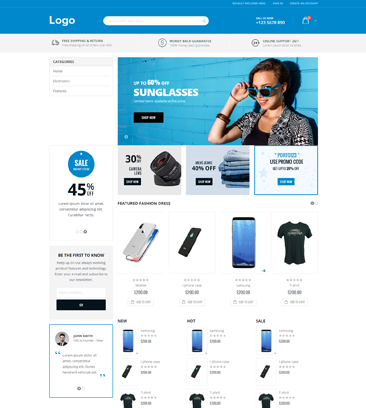 I should agree that Magento platform is perfect for an ecommerce store. I recently started a mobile store with them. It gave a better store experience on my shop, even though I have limited coding and designing knowledge. Webnexs is surely one of the finest Magento Development teams have hired. I chose Magento platform after doing a great research on internet for best ecommerce platform. I personally would agree that webnexs team is really cool and getting to me very quick. . Thank you so much Webnexs for such a support while creating my store. One thing I should say is Webnexs unique designs. I have hired them for few months to work on my project to change my theme. They did it with perfection. The colors came out nicer and the codes are perfect. Id suggest you are my go-to company for any of my upcoming changes.